The Upper and Lower lakes are home to a National Collection of over 100 varieties of Hardy Water Lily (Nymphaea). The Upper Lake, (the larger of the two) was created in 1904, with the Lower Lake being added in the 1920’s, and both were originally designed as fishing lakes for Major Stewart. 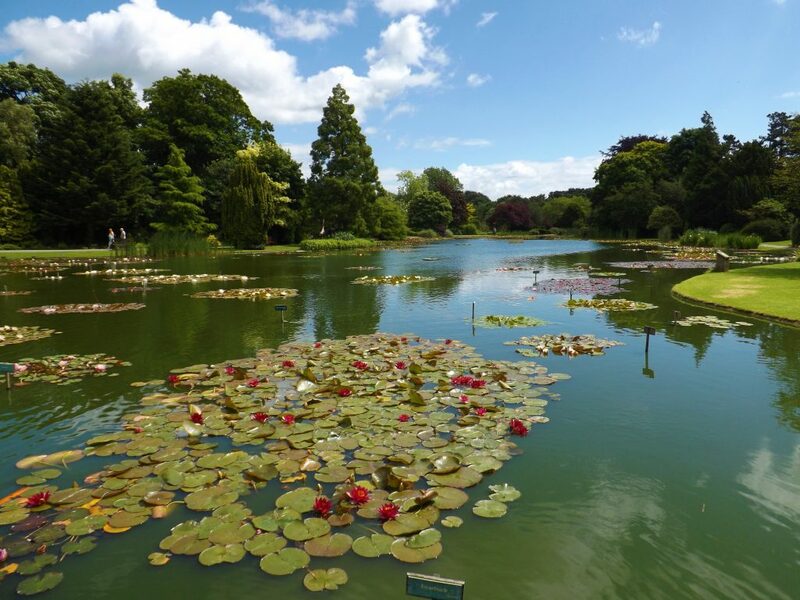 However, in 1935 he and his wife Katharine engaged Amos Perry, of Perry’s of Enfield, to plant 50 varieties of Hardy Water Lilies on the lakes, creating the beginnings of the National Collection of Nymphaea which is enjoyed today. The Upper Lake is currently in the process of being renovated as part of an exciting three year Heritage Lottery Fund project which will see this beautiful location preserved for future generations to enjoy. 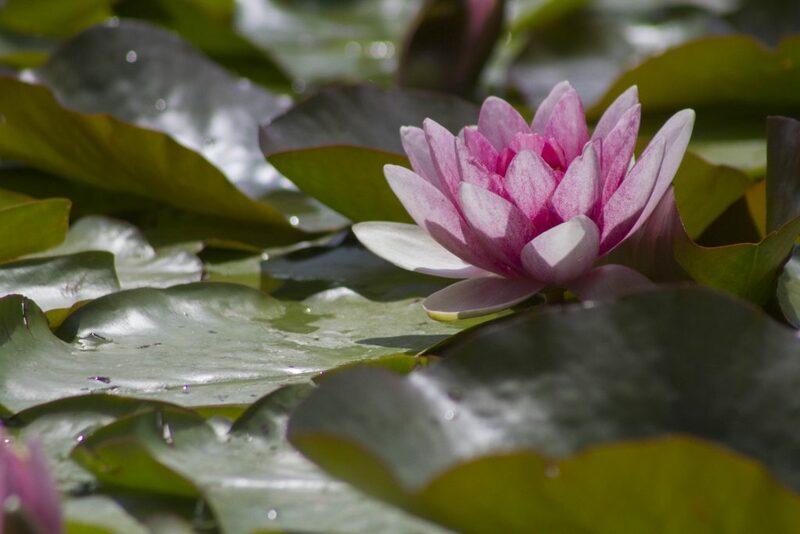 Designated a National Collection, our fantastic collection of Hardy Waterlilies (Nymphaea) can be seen in all their splendour from mid-June until the end of August. Major Stewart’s wife Katharine’s love of flowers inspired the idea of using the lakes for the growing and display of Hardy Water lilies. The Stewarts engaged Perry’s of Enfield, renowned water lily experts, to advise them. 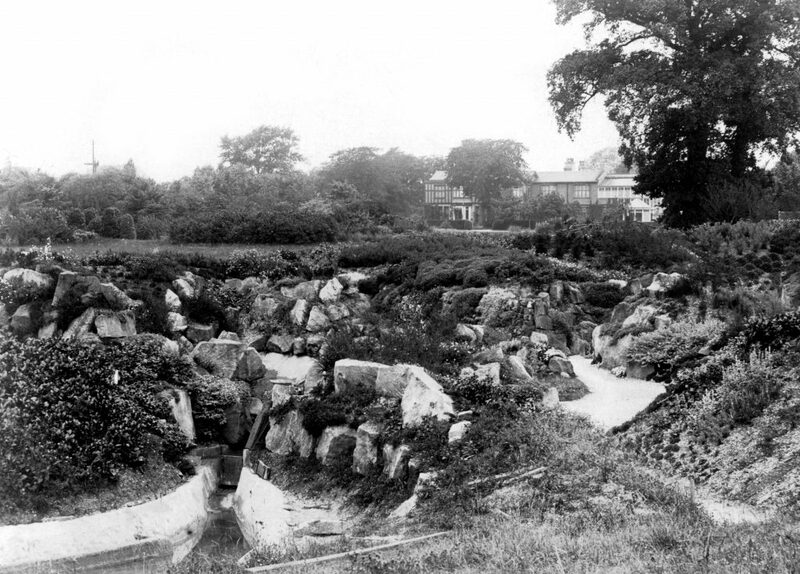 Perry’s was eventually taken over by Stapeley’s Water Gardens. Subsequently, the Stewarts Trust’s own expert staff took over the management. On a symposium visit by the International Water Lily Society they commented that the collection was one of the best collections in a natural setting that they had ever seen. This small but unique garden was designed by students from nearby Bishop Burton College and built by our own gardeners. 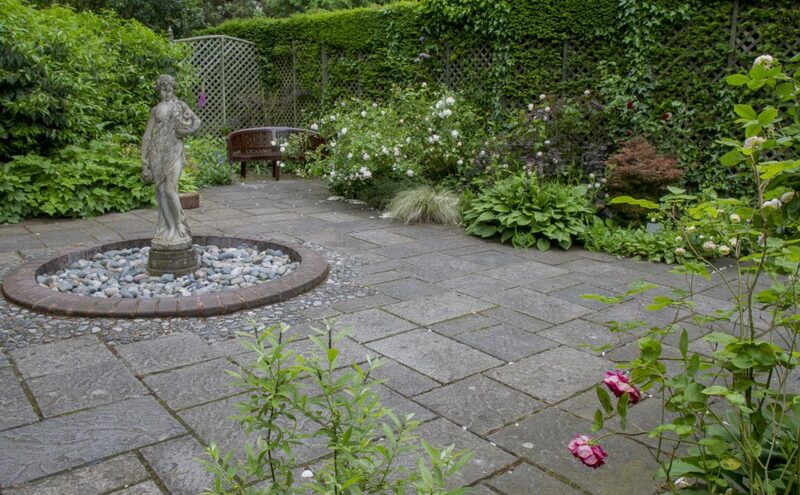 Hidden away in a wooded part of the Gardens it includes a water feature and is a lovely peaceful place to just sit and relax whilst enjoying the peace and quiet of this secluded little space which includes lovely roses which flower in the summer months. 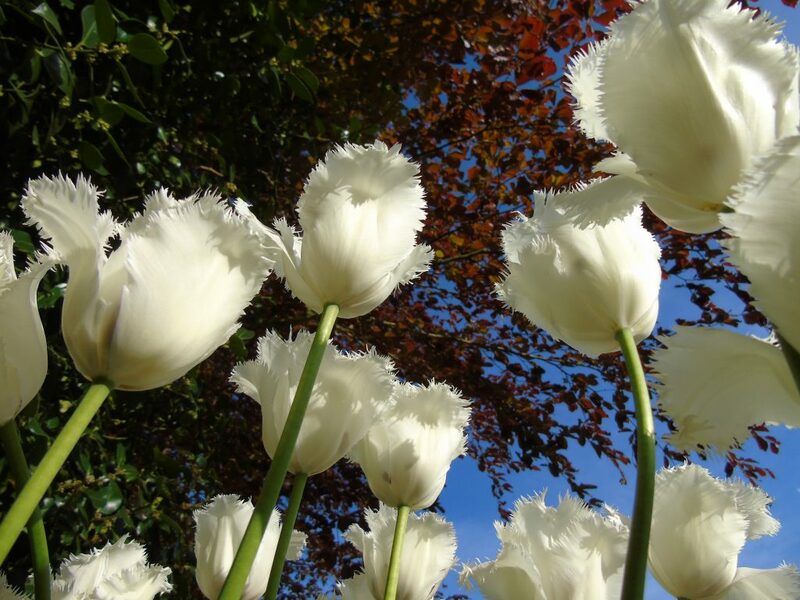 The Aviary Garden is a lovely area which forms the centrepiece of our annual tulip festival in late April / May and is then planted up with annual bedding plants to provide a wide variety of colours during the summer months. The newly-restored Edwardian potting shed is the home of our Aviary which contains cockatiels, budgerigars and zebra finches. Originally an orchard and then a rose garden, the Victorian Garden was created around 2004 using several bequests and donations made to the Gardens. Using the original walled garden as its backdrop, this garden is symmetrical in design and features a wooden gazebo at its centre. To the eastern side, a pergola is situated which is planted with lavender. In the summer months, sweet peas grow up the trellising on the pergola, providing a variety of noticeable colours. 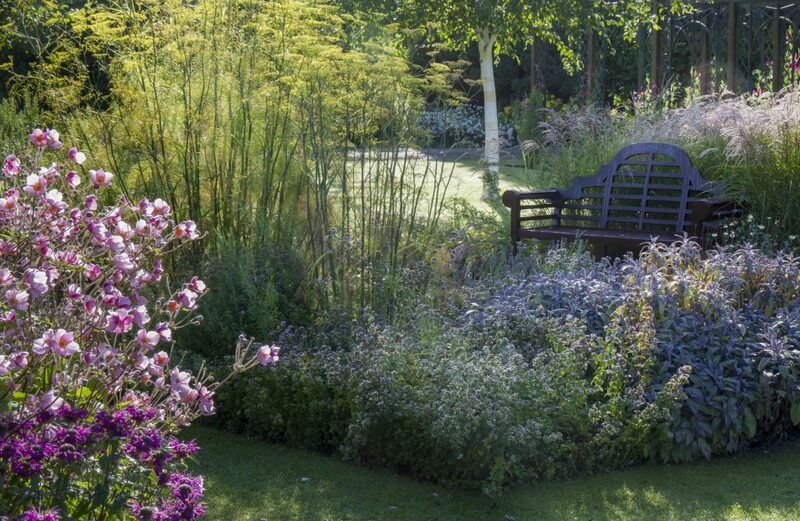 The beds provide a wide variety of flowers throughout the spring and summer, and with its silver birches, it is a very popular place to sit quietly and admire the beautifully tended plants on display. The Rock Garden at Burnby Hall was created around 1910 for Percy and Katharine Stewart by the Backhouse Nursery of York, renowned horticulturists of the period. The Backhouses were known for their elegant designs and had a portfolio comprising of a large number of wealthy families across the country. 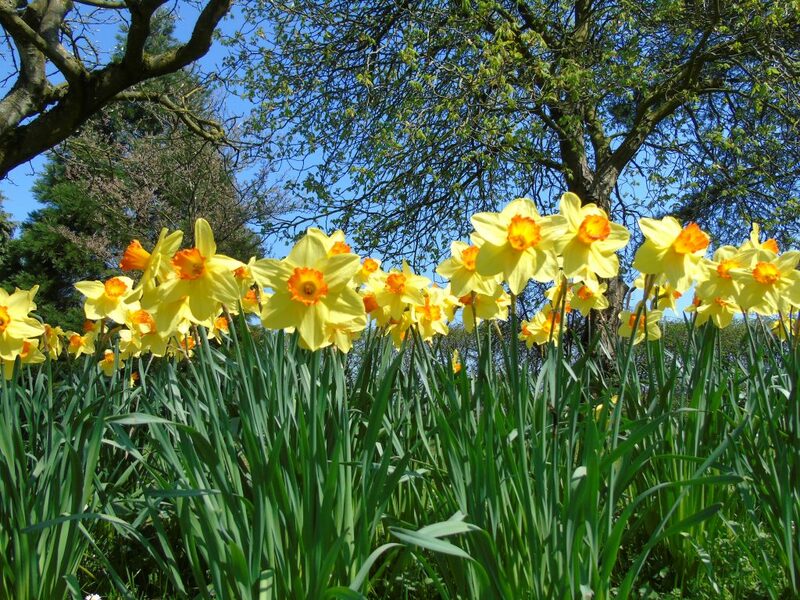 In May 2016, Burnby Hall Gardens were awarded £634,800 thanks to National Lottery Players. This grant will enable us to restore this fine example of Backhouse’s work to how the Stewart’s would have envisaged it. In December 2016, as part of this project, work commenced to strip the Rock Garden of all its overgrown foliage and shrubbery. 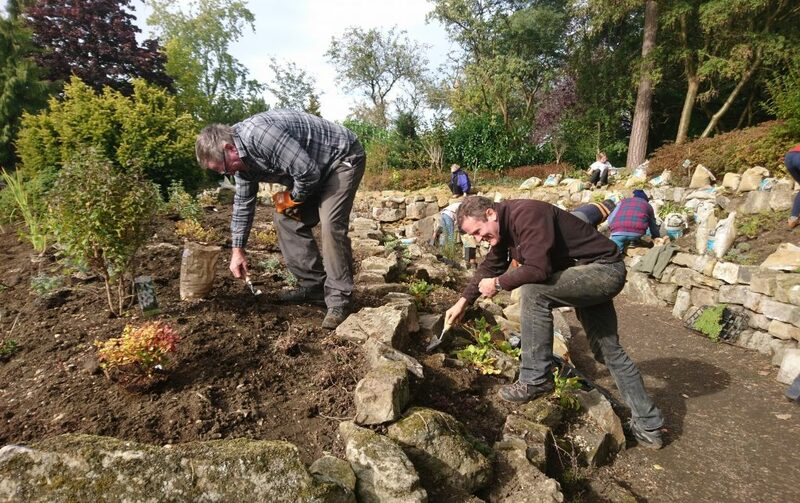 The Rock Garden is currently in a fallow state to allow for the removal of deep rooted weeds, such as Ground Elder and Mares Tail. This fallow period will also allow the soil to be improved for the extensive replanting, which will take place in Autumn 2018 using original Backhouse Nursery plant catalogues. During our project we have created an accessible route though the Rock Garden so that visitors can enjoy the unique experience of viewing the original layout of the 300 tonnes of sandstone which were placed over 100 years ago using ropes, horses and pulleys. One of the most popular features here at Burnby Hall Gardens is the stumpery. It’s a relatively recent addition to the Gardens and was inspired by Prince Charles’ stumpery on his estate at Highgrove. So, what exactly is a stumpery? Essentially, it is a garden feature that is constructed using mainly the upturned roots of large trees. The roots are arranged artistically to create a feature that is architecturally pleasing to the eye and, once the stumps are in place, plants are used to break up the strong lines and soften the angles. It is very much an environmentally friendly location, with everything designed to attract birds and insects. Stumperies were popular features during the 19th Century, but in more recent times their popularity has been attributed to the increased introduction of large numbers of species of ferns where a stumpery provides an ideal habitat for these types of plants. 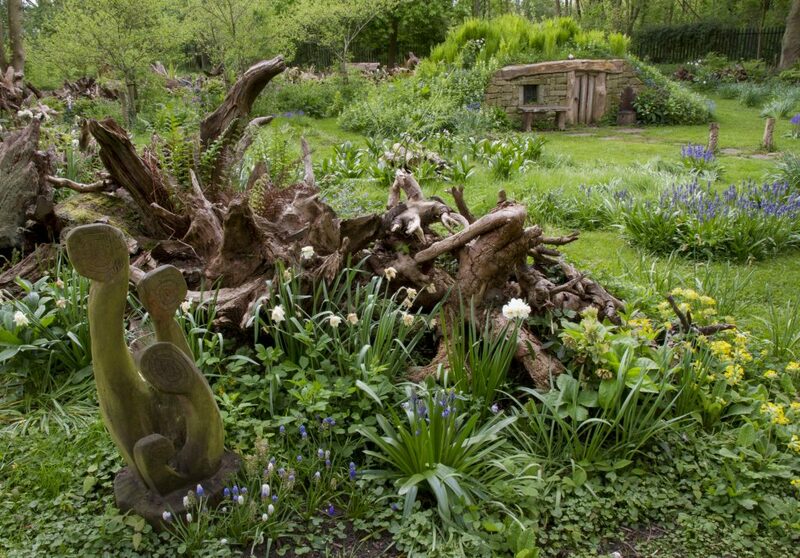 Work on our stumpery began in the winter of 2011 and it has become one of the most popular of our themed Gardens. With the changing colours and the sound of birdsong in the trees, it is a lovely place to visit. In 1906, Major Stewart and his wife Katharine were travelling on one of their extensive World Tours. Their last port of call was the USA, where Major Stewart heard the news of the San Francisco earthquake and immediately made arrangements to visit the area. He was very impressed by the giant redwoods, some of which had been felled by the earthquake. Three years later Major Stewart visited the Seattle Exhibition where he saw a log building created from one of these massive trees. He decided to purchase it and arranged for it to come to Burnby Hall. “I had it carried by sailing ship round Cape Horn to Hull. From thence it travelled in a special railway truck to Pocklington and now serves as a summer house in our garden,” he wrote. 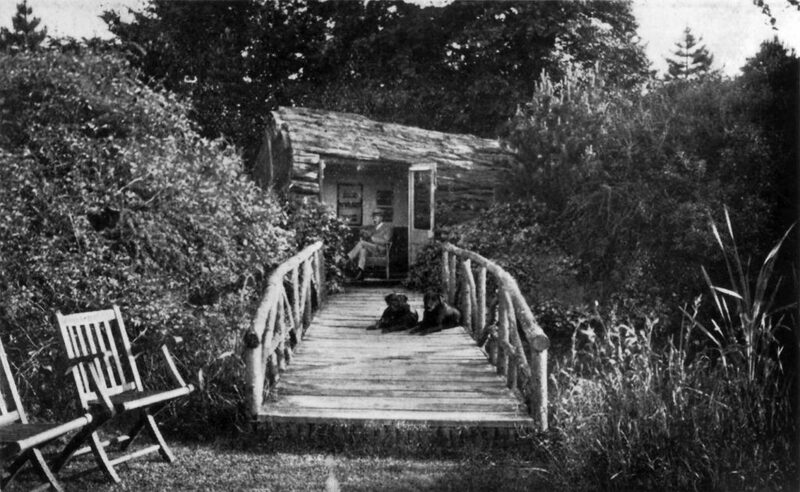 After his death the cabin gradually fell into disrepair and the only reminder of the original tree is the stump situated outside the pump house at the end of the lower lake. It has been estimated that there are at least 28 varieties of bird which have been seen in and around the Gardens. These range from Herons, Kingfishers and Tawny Owls, to Moorhens and more common garden birds such as Robins, Goldfinches and Greenfinches. Most notable amongst these has been our resident Kingfisher. Occasional sightings are possible during the summer and autumn months, but the quieter periods in the winter often provide the best opportunities to regularly see it fluttering above the Upper Lake and diving into the water in search of smaller fish. Amongst our larger birds is our male heron which can often be seen in the early morning standing motionless next to the Upper Lake or high in our redwood tree surveying the world. 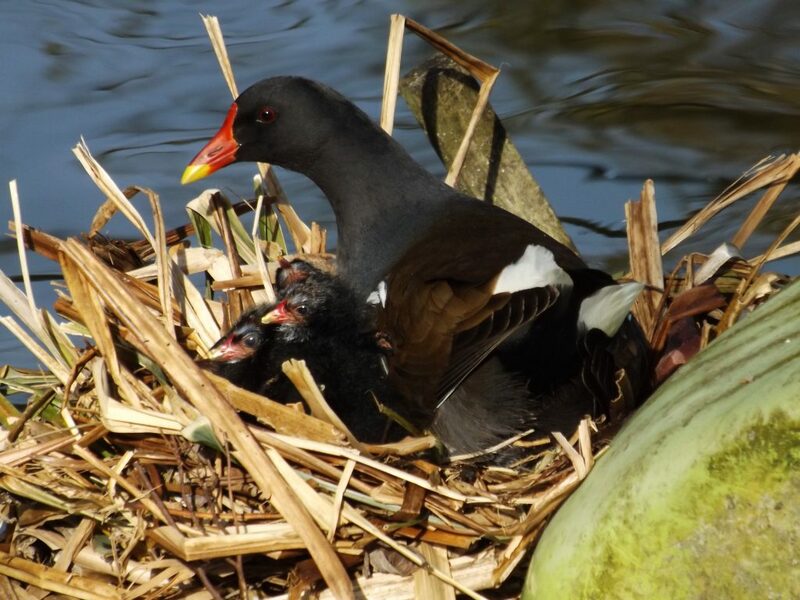 We also have moorhens who inhabit both Lakes and whose chicks can often be seen running over the lily pads in the summer. So, when you visit Burnby Hall Gardens, why not have a careful look around yourself and see what birds you can see and hear? The Lakes at Burnby Hall were originally created by Major Stewart for fishing, and it was only in 1935 that the first waterlilies were planted in them. 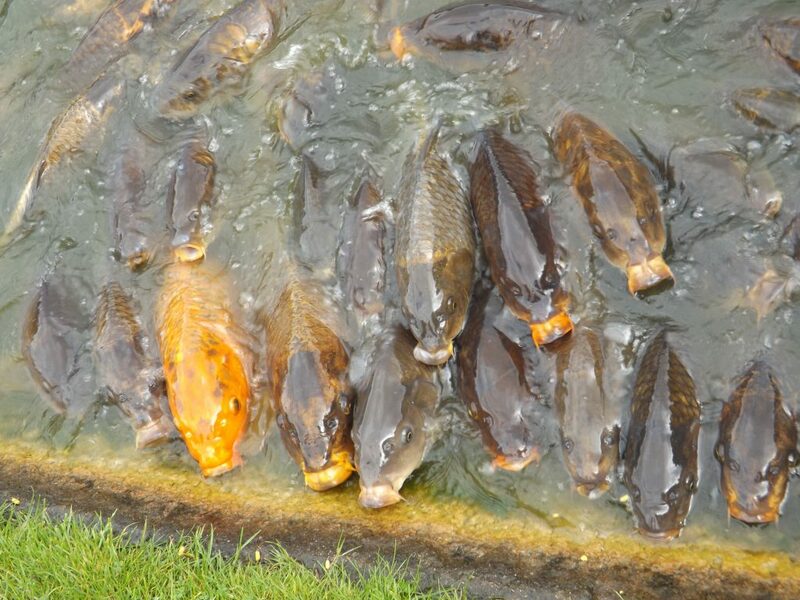 Today, we have thousands of Carp, Roach and Rudd populating them, some of which are of enormous size, and they love nothing more than to be hand fed by our visitors. A great favourite with children and adults alike, if you’ve never fed the hungry fish, why not give it a go? In February 2017 work commenced on restoring the Summer House and Potting Shed as part of our Project, funded in thanks to National Lottery Players. Both the Summer house and Potting Sheds are original features of the Garden. 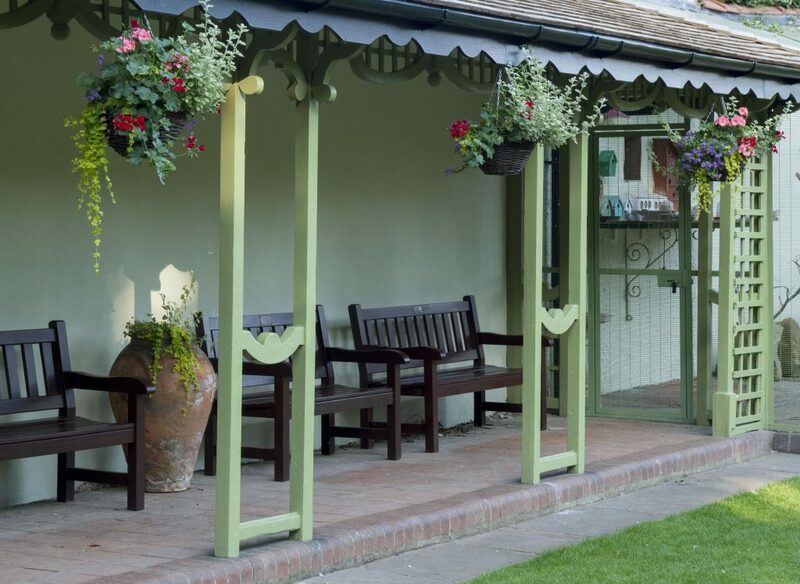 The summer house was used by Percy and Katharine as a way of relaxing in their beautiful Gardens, and the Potting Shed provided the large gardening team of the period with the storage and equipment needed to maintain the Edwardian Gardens. Both of the structures required re-roofing, and the Summer House was given a new lease of life with a fresh coat of paint. The Potting Shed has been transformed into a multi-purpose space with the creation of a volunteer area for the Garden volunteers, planned for 2018. 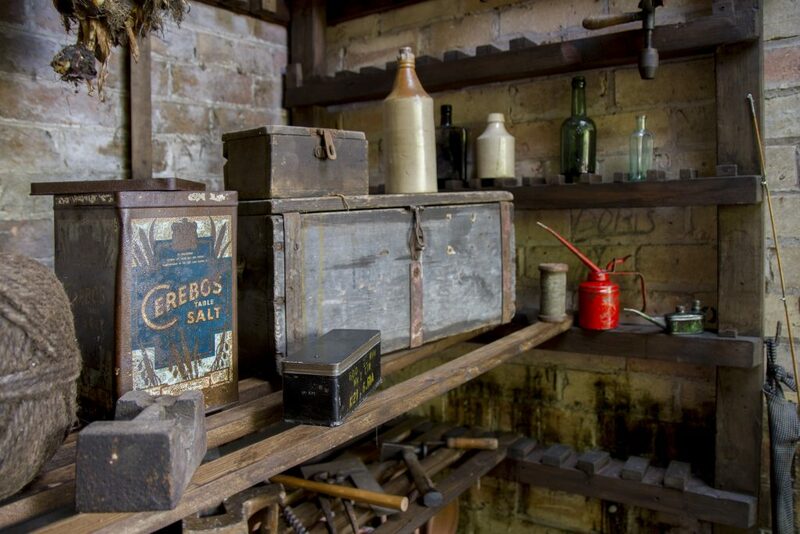 The Potting Shed has been created as a museum exhibition, where visitors can be transported back in time to the Edwardian era and can view vintage tools from the period. The interior of the Potting shed was completed in thanks to generous donations from the local community. We have also built three waterlily propagation tanks near to the Potting Shed and, in Spring 2018, we will commence the cultivation of new and existing varieties of Hardy Waterlilies in order to continue the horticultural excellence of Burnby Hall Gardens for future generations to enjoy. The Potting Shed area can currently be seen on our monthly Behind the Scenes Tours.